The central nervous system(CNS) is the master system of the body. It controls and coordinates all organ systems and function as of the body, allowing it to adapt to it’s internal and external environment. The CNS is made up of the two most naturally protected structures in your body. The brain and the spinal cord. The human brain is the computer of your body. it is made up of around 100 billion neurons(brain cells) each capable of 10,000 synapses (connections) each. These connections take information from the body and deliver information to the body. These messages and signals are transferred to and from via the spinal cord. The spinal cord’s function is to transmit signals between the brain and the body. These signals are very important to the function of your body’s organs/systems and over all sense of well being. The cord runs through your spine in the spinal canal. This structure is very well protected but with the ability to perform movements . The signals exit the spinal cord via the inter-vertebral foramin(IVF) . These are located on either side of your spinal column and are on both sides and at every vertebral level. As they leave the IVF they are transformed into peripheral nerves. These nerves make up the peripheral nervous system (PNS). The PNS is the nerves that run from the spinal cord to the organs and structures of the body. These are where terms like “sciatica” come from as they are referring to the sciatic nerve(a peripheral nerve). These nerves can be sensory nerves taking information( like temperature or touch) from the body and transporting them to the brain, or they can be motor taking information from the brain and giving it to muscles (like lift that box). Subluxation is when the vertebral bodies of your spine have become mis-aligned. This mis-alignment can cause the IVFs to narrow putting pressure on the nerves exiting the spinal cord. This pressure can be as little as the weight of a dime and can distort the signals/information going into and out of your brain and spinal cord. These mal-alignments can be corrected with a chiropractic adjustment. 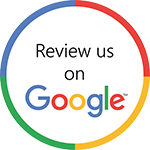 Chiropractic is the method of correcting vertebral subluxations with manual or instrumented adjustments. It’s practitioners are known for their holistic approach to the treatment of patients. Chiropractic utilizes information from the entire body, not just the site of complaint to assure the patient the best possible outcome. Chiropractic is when compared to any medical alternatives and is a gentle alternative to surgery that is drug free and natural. 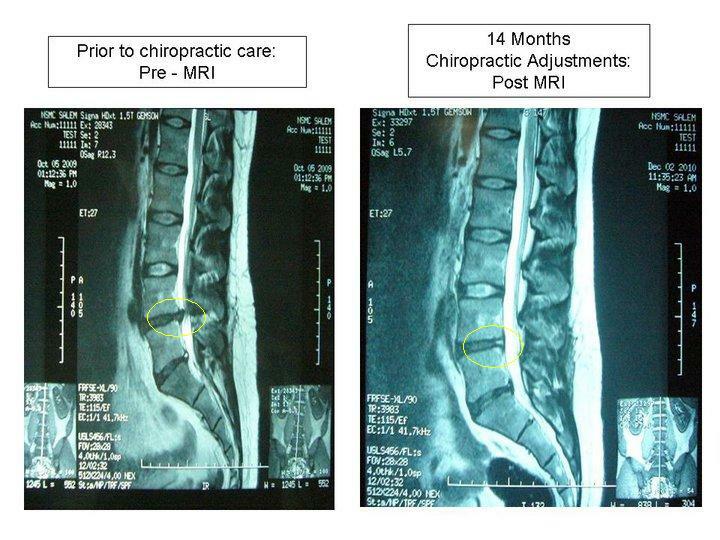 Low Back story worth telling…this guy works at an MRI center and was taking his own MRI’s to track his progress…check the L4 disc before and after chiropractic…sciatica gone, surgery averted. If you’ve ever been diagnosed with a disc herniation and wondered if Chiropractic could help, here’s your answer. It is not an instant fix, and it will take some time, but if it can prevent a surgery isn’t it worth it? We have helped several patients with this very issue. See below link on the “How Chiropractic can help your pregnancy and birth” to ease these pains naturally and safely. I was a very sick kid for most winter growing up. Its part of the reason I became a Chiropractor. I hae seen kids with these recurrent strep infections and earaches helped with Chiropractic care. You can break the cycle of bi-monthly doses of antibiotics. Ear aches are no fun and antibiotics don’t work. Most other treatments available only mask symptoms of pain and discomfort. Children with ear infections simply aren’t draining properly, which is why they put “tubes” in to fix the problem. Those “tubes are already present and are called Eustachian tubes. These tubes can collapse causing a build up of fluid in the ear leading to an infection. With a simple manipulation to the ear those tubes can be set back open allowing for proper functioning with out surgery or chemicals. The old philosophies of “When in doubt, cut it out” are no longer valid. These procedures are found to have little or no effect on colds or infections. ORLANDO, Fla. – Seventy-five percent of American teens have a cellphone, but most of them aren’t talking, they’re texting. In fact, one-third of teens with cellphones send 100 text messages every day. Parents usually worry about who their teens are texting. But, doctors say, parent should have a bigger concern. Because a child’s head is larger in relation to their body, all that time spent hunched over a phone could do serious damage to a teen’s neck and back. “It’s that they’re looking down, and by looking down, that’s putting added stress on the neck,” explained chiropractor Dr. Terry Smedstad. The methods we use in our office are even safer than the ones demonstrated on this show. Wouldn’t it be great to get the same kind of relief as a surgical procedure, but without all the risk of a surgery? Ever wondered if there was any evidence to support getting a flu shot every year. There really isn’t. This is a serious issue that has been swept under the rug. If you or someone in your family gets the flu shot please read this lengthy insight into just how factual the claims are/are not. I’ve found these treatments to be beneficial for spitting up, excessive gas, constipation, bed wetting in older kids, chronic colds and fussiness. I actually had a 4 1/2 week old little one nap through his adjustment.These adjustments are very gentle and I would be happy to answer any concerns you may have. Research is clear that Chiropractic is great for Migraines and Headaches. As someone who has suffered from migraines, I can tell you it works great.